The May long weekend brings the blessing of an extra day to relax and spend some quality time with the family. But, you may be wondering, what exactly can I do with my family to make this weekend one to remember? 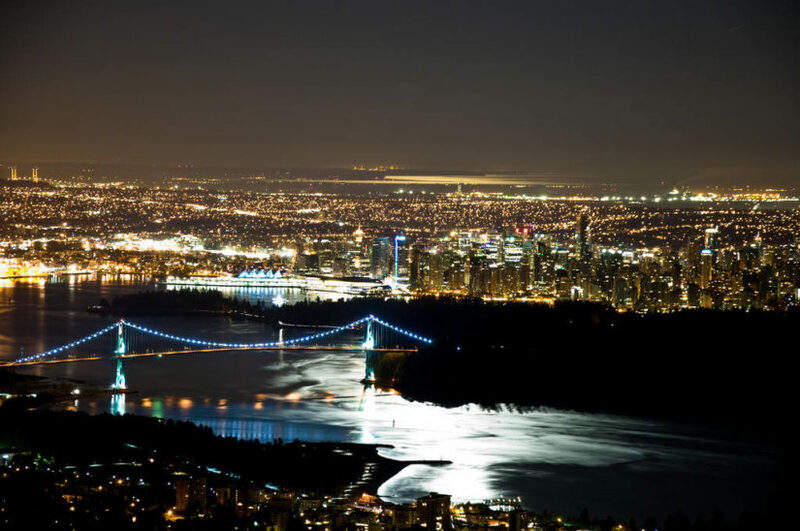 Well, we have scoured the lower mainland for the best that Vancouver has to offer to answer that question and inspire a family fun-filled adventure. Head down to the Shipyard Plaza tonight (Friday May 20th) at the Wallace Shipyard in North Vancouver for an evening of delicious food, live entertainment, local artisans, and a farmers market. It’s a family friendly way to re-discover a historic part of our city while enjoying the best in local food and entertainment. The night market is open on Fridays from 5pm until 10pm throughout the summer. Visit the shipyards website for more information. Photowalk? We see you squinting your eyes and looking puzzled. So what is a Photowalk? Vancouver Photowalks is an organization that takes people to iconic areas of the city and teaches them how to use their cameras better and take fantastic pictures. You’ll meet new people and learn new things about parts of the city that you may have not given a second thought. If you have a shutterbug in your family, regardless of skill level, this would be the perfect thing to do together. Saturday’s photowalk will take place in Strathcona, Sunday’s will be in historic Gastown, and Monday’s walk will be around Canada Place. Visit the Vancouver Photowalk website for more information and to book a tour. 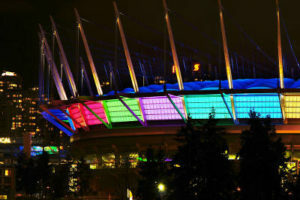 If you have a sports or architecture fan in your family, take them for a tour of BC Place where they’ll learn all about the building, including the iconic roof, its history, and will get to visit places like the media lounge, the premium suites, team locker rooms, the sports hall of fame, and will even get to walk on the field. Visit the BC Sports Hall of Fame website for more information and to book a tour. Kicking off another season of summer fun up at Whistler is the annual Go Fest. Take the family up for the day and check out mountain bike racing, outdoor yoga, a tennis tournament, pancake breakfasts, paddle boarding, live entertainment, and so much more. The festival goes until Sunday so visit Whistler’s website to learn more. Visit the Vancouver Theatresports League, located on Granville Island, for some hilarious entertainment. Friday, Saturday, and Sunday evenings this weekend feature shows about Game of Thrones (perfect for TV buffs in the family) the group’s classic improv set, and an after-dark show which is intended just for adults. Shake up your usual entertainment and make a night of it! Visit the Vancouver Theatresports website for showtimes and more information. The City of Surrey’s annual Environmental Extravaganza is back due to popular demand. Take the whole family on a guided walking tour through Surrey’s beautiful parks and shorelines and take part in free activities all spring long. Saturday will include exploring the tiny creatures below the surface of the Little Campbell River, a children’s nature walk, and a habitat exploration tour, while Sunday will feature beach exploration tours. Visit the City of Surrey’s website to find out more and to register for various events. For the comic enthusiasts and artists alike, be sure not to miss the Vancouver Comic Arts Festival, happening this weekend only. Admission is free and entertainment will be everywhere with renowned artists scheduled to speak, workshops, readings, panels, and much more. It is definitely worth checking out if you’re at all interested in comics or graphic novels, and children of all ages are welcome. Visit the Vancouver Comic Arts Festival Website for more information.